﻿ The Leela Goa (India) | FROM $149 - SAVE ON AGODA! 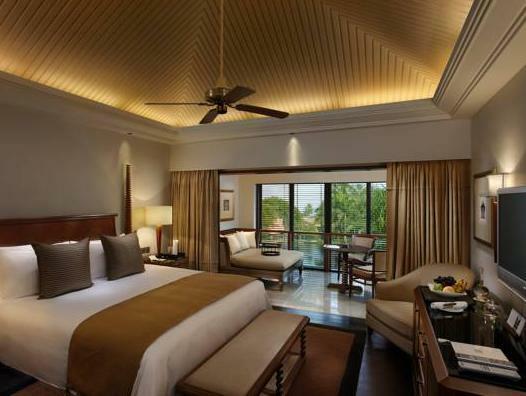 "We had stayed at Taj Holiday Village and had a fantastic tim..."
Have a question for The Leela Goa? 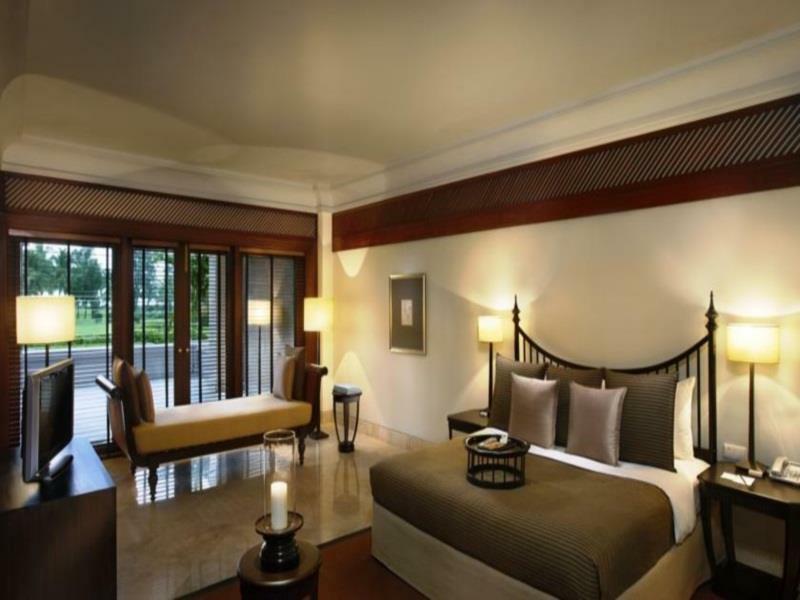 "Location and facilities were quite good"
Vacation in style and comfort at the luxurious the Leela Goa. 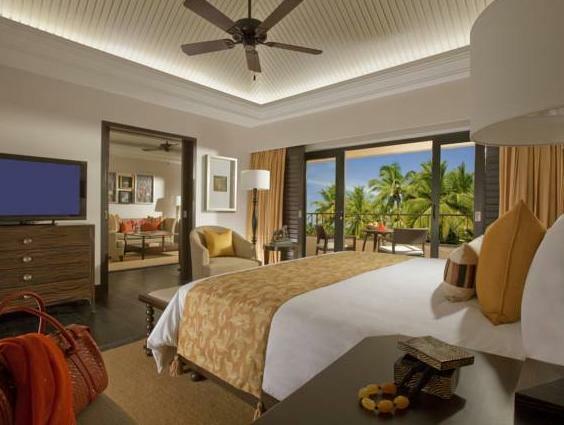 The rooms at this property offer partial ocean, lagoon, and garden views for guests to choose from, so you are bound to be peeking out at unforgettable scenery. The property is near Mobor Beach, Betul Beach, Cavelossim Beach, Varca Beach, and Cabo da Rama Fort. It has a kids club, offering parents a secure childcare option to keep their little ones happy. The Leela Goa features a kids swimming pool, so your children can enjoy various water activities without bothering other guests. Also equipped with family rooms and a playground, it is ideal for children of any age. It features a golf course, table tennis, a mini golf course, and a tennis court among other great facilities. 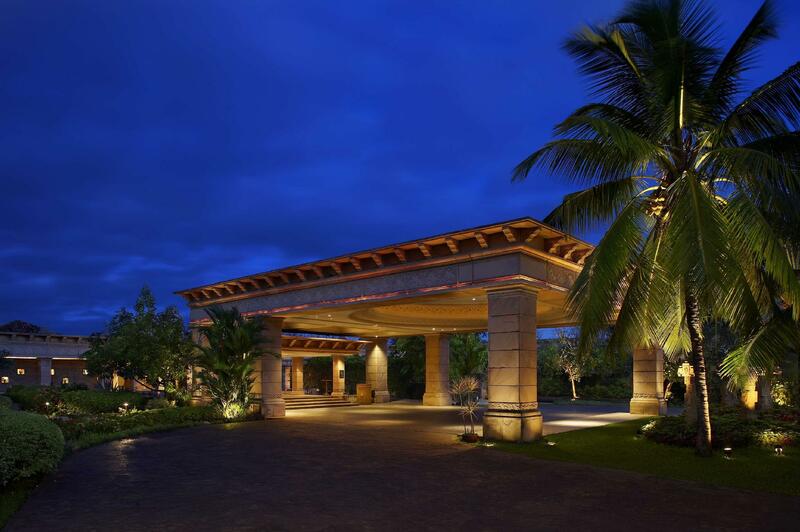 The Leela Goa has numerous convenient features, such as an infirmary, a salon, a currency exchange, a selection of shops, as well as a library. If you want to spend your day simply relaxing and unwinding, you can get a massage nearby. 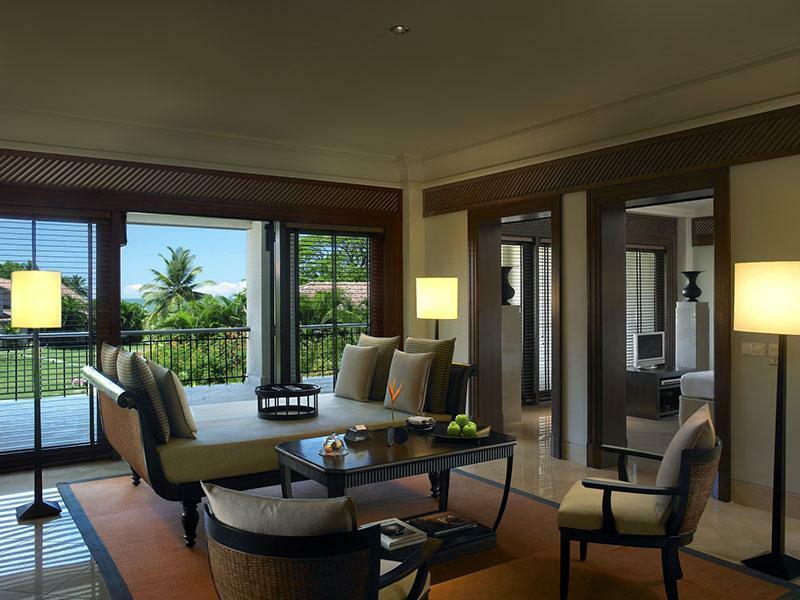 With guided tours available, the Leela Goa is a great spot to stay to learn about the area. This property has a bar, a coffee shop, restaurants on the property, BBQ facilities, and a poolside bar, so there is a selection of dining and snacking choices. From a concierge to dry cleaning services, the Leela Goa has a range of useful and convenient services, ensuring that guests get the most out of their. The property has air conditioning and a TV. There's free Wi-Fi available in all rooms, as well as Wi-Fi in common areas, so visitors can contact their loved ones without overspending on international charges. The front desk is open at all hours, so there is always someone on call to assist with any questions that you have. This property allows pets, so you won't need to worry about finding a pet sitter for the time that you'll be away. Check-in is offered from 02:00 PM and check-out is until 12:00 PM. The Leela Goa has an assortment of transportation options which include airport transfers, shuttle services, bicycle rentals, and car rentals. Madgaon Junction Railway Station is 12.3 km away and Seraulim Railway Station is 14.8 km away. The nearest airports are Goa International Airport (GOI) and Mangalore-Bajpe Airport (IXE), which are 27.4 km and 262.7 km away. The property requires a minimum of 24 hour(s) notice of flight details to organize airport transfers. No transfer will be arranged if flight details are submitted within 24 hours before the arrival date. Airport transfer is available at no additional charge for guests booking Lagoon Terrace, Conservatory premiere and Lagoon Suite room. In order to reserve the transfer, please inform the property of your arrival details at least 1 day prior to arrival. Airport shuttle is available at no additional charge. In order to reserve the transfer, please inform the property of your arrival details at least 24 hours prior to arrival. The meals provided for bookings with meals are buffet at designated restaurants only. The property will be undergoing renovation for the Banqueting facilities, Aqua (lounge bar) and The Club section from July 1, 2019 to October 15, 2019. The Aqua Lounge Bar and banquet facilities are undergoing renovation from July 1, 2019 to October 15, 2019. The Club Suite is undergoing renovation from April 27, 2019 to October 15, 2019. If you ever stay at the LEELA, you will enjoy the perfection of hospitality. Location: Perfect, Beach: Stunning, General facilities: Perfect, Gardens: Outstanding (more a park), Rooms: Clean and spacy, Hotel staff: honestly friendly and helpful, Spa: good, Restaurant: Great qualities, Breakfast: Outstanding with many choices! We are living in Thailand and therefore have already been able to enjoy many high class resorts, but THE LEELA is among the best we have ever been. There is only one obstacle: The Prices! Even though you enjoy perfect services, everything is terribly overpriced. We are definitely willing to pay good prices for the good service, but any guest should be aware that in this hotel you will need a big wallet for everything. However, if you can afford it, there is no alternative, and you should stay in this gorgeous place. No compromise! Do it! Wonderful hotel! Have been 4 times. Very friendly, efficient and courteous staff. Fabulous grounds and beach. Hotel restaurants far too expensive and therefore poorly patronised. Everything else super. staff. property itself. private beach. The staff were amazing! The hotel itself was lovely. The food whilst plentiful, not as nice as the Leelas in both Mumbai and Chennai. But otherwise it was breathtakingly beautiful with some of the nicest people working there. Dear Guest, We are happy to know that you had a pleasant stay with us. Thank you for taking the time to review our hotel and we look forward to the opportunity of welcoming you back to The Leela Goa. Dear Guest, We are happy to know that you had a memorable stay with us. Thank you for taking the time to review our hotel and we look forward to the opportunity of welcoming you back to The Leela Goa. 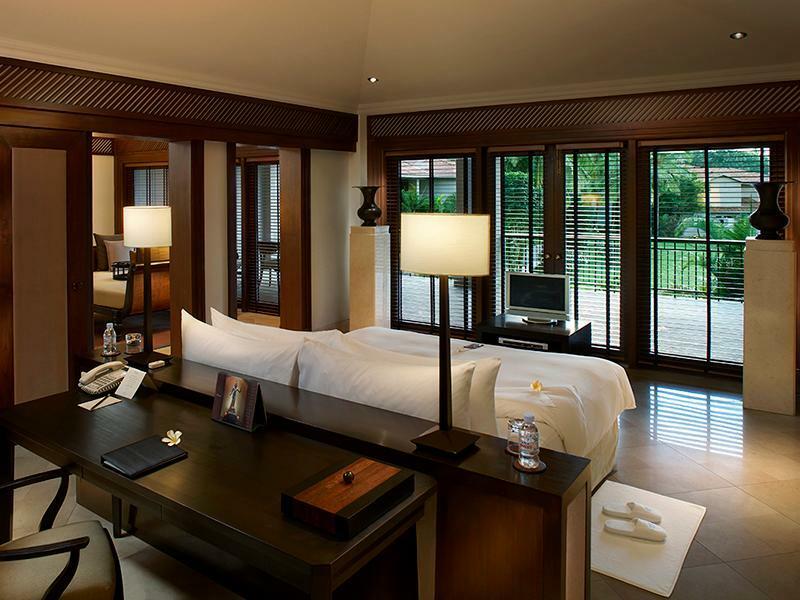 Spent 4 nights at Leela Goa Resort was very good and had all their facilities one wound expect from a five star resort. Staff was very courteous and helpful. Buffet breakfast was excellent. Buffet lunch & dinner was somewhat expensive. The hotel gave us courtesy BMW airports transfers which we though was very thoughtful of them. Overall we had a good time there and will like to come back to stay at the Leela Goa, if & when we return to Goa. It's a really nice place but I wouldnt go back. It surpasses expectations in a lot of things like the staff but...there's no Wi-Fi (you have to pay which is silly since low end places we stayed in India all had this for free and it was better connectivity) and on the beach we got hassled every single time which just annoyed us since we went to goa to get away from the hassle of Delhi and it's a private beach so it didn't make sense to us. Everything else was great apart from the selling. I wouldn't go back here if I went to goa again. We have stayed 5 days at the Leela, Goa this March and had a great holiday. We have enjoyed all facilities and kids had a great time at the pool and Kids play area. Staff are friendly and food is great. Price is slightly high but it is worth paying that extra when you are on a holiday. Will visit again soon. It was our 5th wedding anniversary, and it had been more than a year since we took a vacation--just the two of us. We were overworked, stressed and cranky when we arrived at Leela. The hotel is a good 1.5 hrs from the airport, so the trip in was for ever, but once we reached the hotel it was worth it. The check in was fast and personal, over complimentary coconut water. The rooms were spacious and pretty, I loved the bathroom-- it had a bathtub along with a shower area. Housekeeping was quick and efficient, the beds were done and the bathrooms cleaned at least twice a day which was great service I think. The beach area was private and clean. You can order in cocktails and finger food. I didn't really care much for the food in the hotel- they were average and a tad bit overpriced. Though the Riverside Restaurant was nice, better than the others in my opinion. Checkout was quick and no frills as well. It was an extremely relaxing 3 days for us. We stayed at the resort the entire time, lazed on the beach, ate and drank and slept.All in all a 5 star experience. I would like to congratulate the Leela team on a job well done! it was very good even though the arrangement of the facilities was surprising : everything concentrated within one acre even though the land was 75 acres. it is a pity the beautiful lansdcape was not more used for the pleasure of the eyes. otherwise everything was very good, especially the executive chef's will to understand my dietary requirements. my husband loved the room and I appreciated the yoga classes in the beauty of nature. 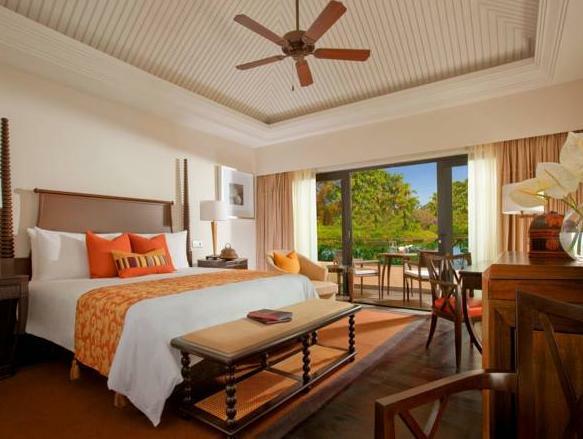 the Leela Goa is located in the South Goa, a bit far from the city and the Northern party beaches, but what we wanted was resting and for that is is perfect. The beach is very nice and well isolated as the Leela is the last hotel of this beach. Only small critics i would like to put : 1 - no bar service in the beach as the restaurant was still not open. I think that there could be a minimum water availability at the beach 2 - the quality of the coach is not at the hotel level, old and dirty. We came for the last two nights of our honeymoon and we treated to a perfect stay. We hadn't made a point if declaring it was our honeymoon but one of the staff quietly noted this and we were greeted by a kind card, cake and celebratory champagne in our room. Every detail was catered for, even down to knowing each guests name in the restaurant when we just checked into the self seated buffet by room number. I cannot fault a moment and would happily return again and again. Everything was perfect. Room, services, cleanness and food. Had a great time there. Specially , everyday free yoga and meditation classes. Welcoming greeting, birthday complement cake and champagne, made it memorable trip. Loved all of it. Thanks to all of staff. The only negative point I can say is , there wasn't free wifi. A bit annoying. From start to end the trip to the hotel was very relaxing. The hotel provides a number of activities apart from the beach and the pools. My 3 year old always had something to do and had a great time. My wife and I relaxed to our heart's content and ate and drank heartily.